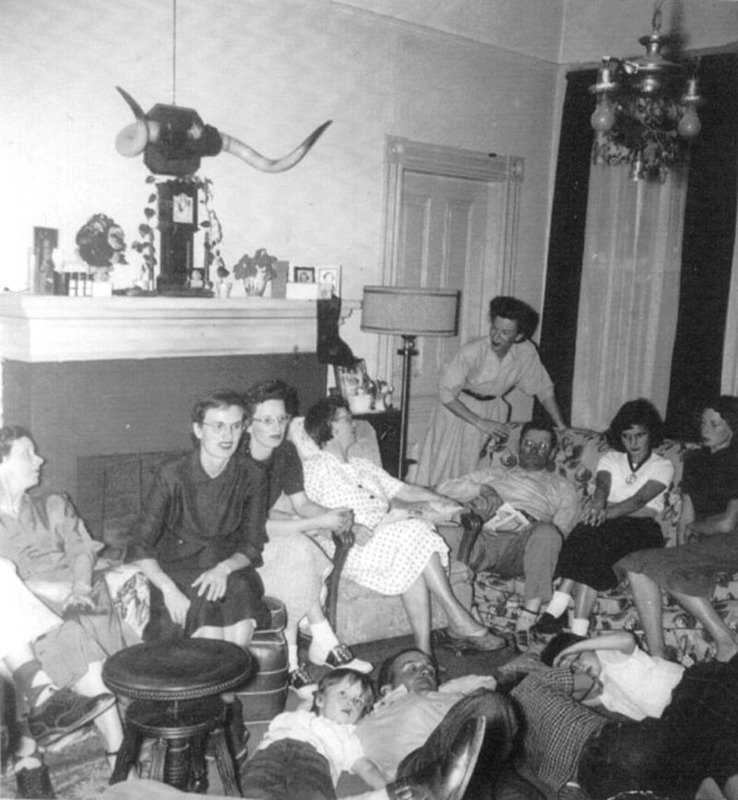 Linda Fitzgerald (second from right) describes this c. 1940s photograph of the interior of the Newhall Ranch House as follows: Henry Poole (Linda's grandfather) is third from right. Charlotte Poole (Linda's grandmother) is in the chair, fifth from right (center, dotted dress). Their eldest daughter, Miriam, is at the far left, then the youngest, Barbara, second from left, then the third daughter, Peggy (Linda's mother). Second daughter, Norma, stands behind her parents. HS4010: 19200 dpi jpeg from image contributed to the Santa Clarita Valley Historical Society by Linda Fitzgerald of Portland, Ore.